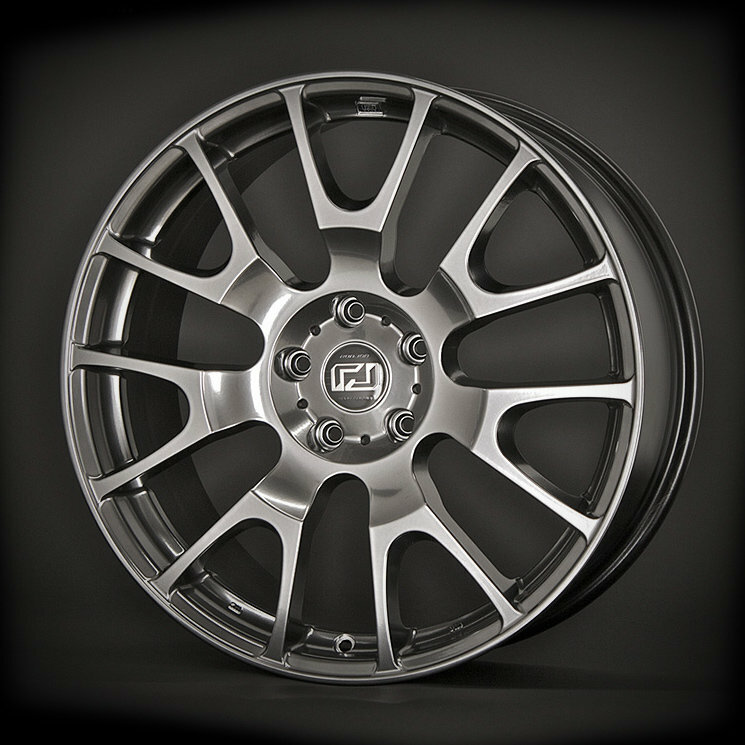 This is the "Legacy MC-7" alloy wheel from RonJon Sport Design. A drop center concave style and exposed lugs make this classic design timeless. The unique Liquid Graphite finish is enhanced for 2019 with a reformulated 3 stage powder-coat process. ranging from 22-25.5 lbs each, these wheels provide a dramatic decrease in unsprung weight that will result in increased fuel economy, faster acceleration, better handling and shorter braking distance. The Low Pressure Cast aluminum alloy construction makes these wheels much stronger and lighter than typical gravity cast wheels so you can be sure the quality is suitable for your Honda or Acura vehicle.